I am Jiji Felice (pronounced JEE-jee feh-LEE-cheh); the combination of my nickname and my family name in Italian. Born into a family business that has been manufacturing leather goods since 1967, I have spent my early childhood visiting the factory and taking in the scent of leather. My father worked with his own hands – he still does. I have learned how things work and how beautiful pieces get created from scratch. I have also seen how hard our artisans work and put from themselves into each piece. I have felt pride in seeing the results of hard labor and their faces lighting up when their work was finished and appreciated. 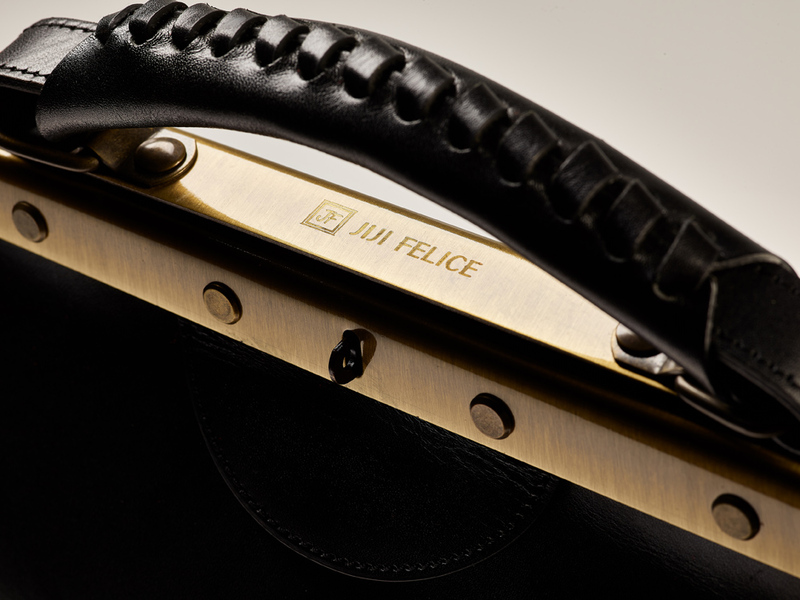 JIJI FELICE, the brand, was born out of a sense of freedom. For years I have worked on other people's designs, to give them products based on their own tastes and budgets. It was a creativity and dream killer. I wanted to create something that was a part of me and a natural brainchild of more than 50 years of family heritage and know-how. If you want to work with beauty, you are not allowed to put limits to your imagination. Working with the finest materials becomes a pleasure. Staying up-to-date with innovation opens your mind to new horizons. Ideas burst in your head and images pop in your mind at every minute. Each shade of color gives you a new sensation. All your senses become one with the textures, the colors, the softness of the leathers, the smoothness of the metal... It becomes a passion. You cannot but live the feeling and enjoy every moment you are giving birth to new creations. And best of all is when your hard work is loved, appreciated, and made available to people who care. My team consists of dedicated people who want to bring out their very best into each piece. I also never miss an opportunity to encourage local accessory artisans who are capable of very high levels of craftsmanship. ...and so is born JIJI FELICE to share with you timeless pieces and affordable luxurious creations.